Situated by the ocean, this hostel is within a 10-minute walk of Dunsborough Visitor Centre and Geographe Bay. Country Life Farm is 1.3 mi (2.2 km) away. 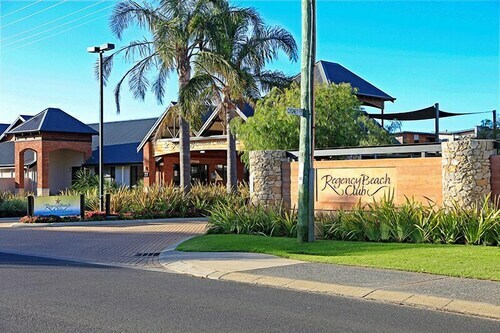 Situated near the beach, this luxury apartment building is within a 10-minute walk of Dunsborough Visitor Centre and Geographe Bay. Country Life Farm is 1.3 mi (2.1 km) away. 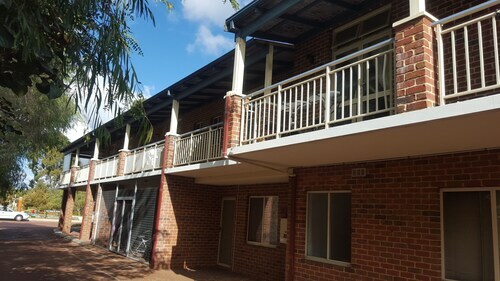 Situated in Dunsborough, this hostel is within a 15-minute walk of Dunsborough Visitor Centre and Geographe Bay. Country Life Farm is 1.2 mi (1.9 km) away. 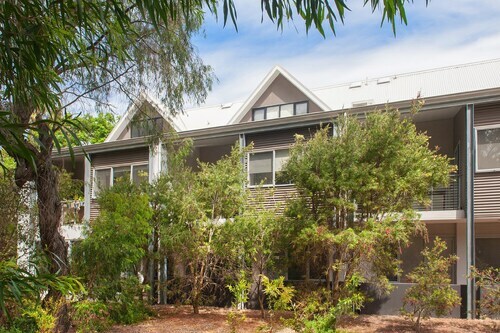 Offering direct access to the beach, this Dunsborough apartment building is within a 15-minute walk of Dunsborough Visitor Centre and Geographe Bay. Country Life Farm is 1.7 mi (2.8 km) away. The beaches reign supreme in Dunsborough. Clean and calm with shimmering blue waters and orange granite rocks, they draw the crowds in summer, when the population of this small WA town triples. Schoolies love to celebrate their newfound freedom here, and can you blame them? On top of the swimming, snorkelling and other beach activities visitors can also make the most of boutique shops, trendy cafes, whale watching and wineries. A Top Tourism award-winner, you really should keep reading to check out our Dunsborough hotels so you can stay in Dunsborough for less. With a permanent population of just 4000, Dunsborough used to be the home of the Castle Rock Whaling Station, but these days it’s content to offer whale watching. Slow to develop, Dunsborough opened its first general store in 1925 and remained a sleepy little town until tourism took off. Dunsborough’s coastline is part of Geographe Bay. With their small waves, Dunsborough’s beaches are an easygoing experience for the whole family. Visit Meelup Beach, Bunker Bay or Eagle Bay to swim or snorkel, or take a walk to secluded stretches like Curtis Bay or Castle Bay where you can climb atop Castle Rock and admire the view. Go for a dive at the wreck of the HMAS Swan, an eerie shipwreck now teeming with marine life like wobbegongs and hundreds of types of fish. Planning a holiday near the end of the year? Jump on a charter boat between September and December to take a whale-watching tour in Geographe Bay. When you need a break from the surf and sun, it’s time to hit the shops! Dunn Bay Road is the main retail strip in Dunsborough where you can check out the fashion, jewellery and gifts at the Dunsborough Centrepoint Shopping Mall or one of the smaller stores lining the street. If you’re in need of a morning coffee hit or a good meal, you’ll find stacks of options including hip cafes with art on the walls and a range of international restaurants. And you can’t miss the wineries; you’ll find a number of top locations in Dunsborough and throughout the Margaret River Wine Region. Just a 10-minute drive away is Wise Wine, which is up in the hills and boasts Eagle Bay ocean views. Dunsborough is 50km north of Margaret River, and you can get here via the Bussell Highway. If you’re coming from interstate, grab a cheap flight to Perth to go with your Dunsborough accommodation, then hire a car or hop on a bus or train to Dunsborough. 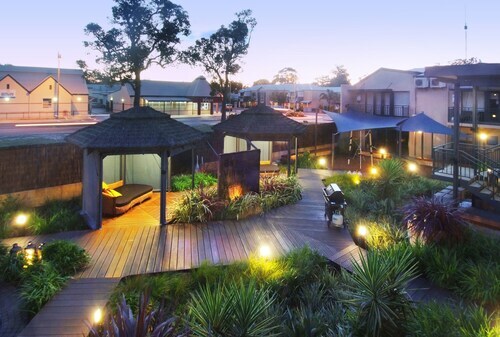 How Much is a Hotel Room in Dunsborough? 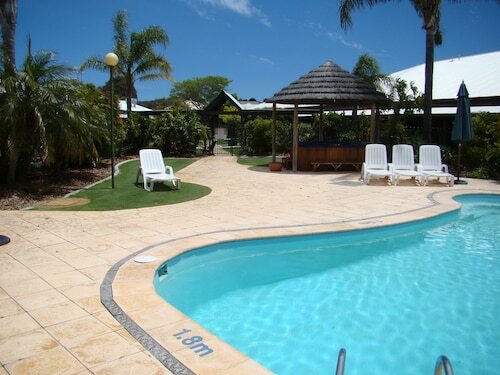 Hotels in Dunsborough start at AU$75 per night. Prices and availability subject to change. Additional terms may apply. 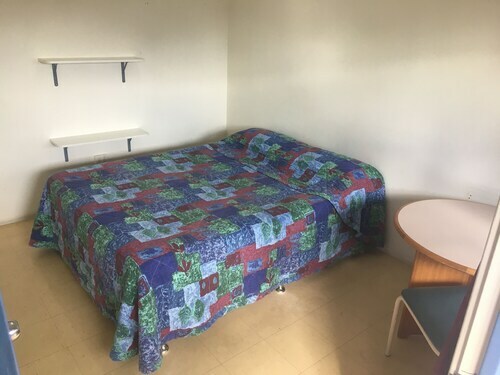 Excellent location close to everything and nice quiet area.